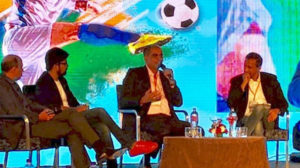 The Indian Football Forum was the third footballing conference held in India since 2010, this time at Novotel, Mumbai. 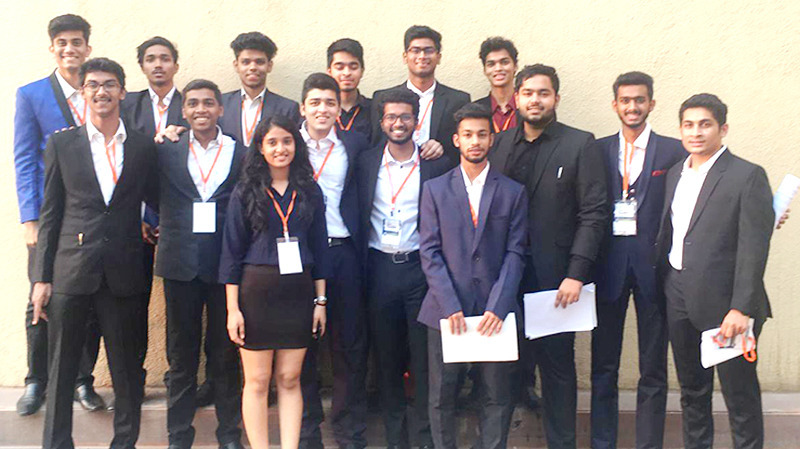 The conference indulged into the massive potential of the game in India which included foreign speakers and the industry stalwarts who are the face of the game in the nation. The core proposition of the event being ” THE ELEPHANT IS STARTING TO RUN ” which was principally up for discussion and analysis during the engagement of the speakers where the focus of discussion was the long-term prospects of the game and its advancement amongst major stakeholders and the players. The sessions deep-dived into four intense knowledge building sessions of discussion and valuable insights – ” Building a viable football ecosystem” which was enlightened to the audience by Rajiv Mathrani, the Head of Marketing, Star Sports, who had his first appearance in a public forum since he joined Star Sports in September and had rich propositions to share which included topics like: Clubs crucial to game’s growth in their catchment areas, the effect of building football academies, youth leagues and bridging the gap between talent Discovery and Pro Arena, Championing sustainability of Indian Football Leagues. He stated about the positive growth of viewership in Indian Super League 2018 and the building blocks of an entire footballing ecosystem through efficient grassroots programs all across the nation. It was an astonishing fact stated by Mr. Mathrani that due to the rise in funding towards ISL clubs from broadcasting rights and sponsorships after the Star and Reliance deal being revamped after IMG left, the ISL viewership count was in par with a tournament like the FIFA World Cup. The session was taken forward by industry stalwarts Nitin Kukreja, the CEO of IQuest Enterprises which currently owns and operates Kerala Blasters, stated about the present state of affairs of the ISL clubs where he focused on the 20Billion collective investment requirementsto be made by all the 10 ISL clubs over the span of 8 years to promote and develop the league as it will determine the future of Indian Football. 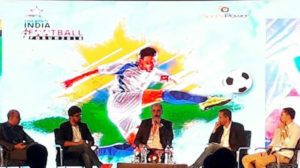 Delhi Dynamos CEO Ashish Shah focused on the pressure the Executive Officers face while convincing their owners on financial viability if investment needs to be increased, Laliga India country manager Jose Antonio Cachaza shared his views on developing the youth structure by promoting football in every part of the nation by uplifting corporate investments keeping in consideration that India is the sixth largest economy in the world. AIFF General Secretary Kushal Das gave an insight about the ‘Mission XI’ project started from the FIFA U-17 World Cup last year and the future plans of the AIFF to start more youth level national leagues from 2019, kick-starting from the state of Uttar Pradesh.He further shared the current growth of youth development as the country has a positive number of 280 AIFF registered youth teams and 99 Baby Leagues operating currently. The next session indulged into the power of social media to engage fans. The subject of the discussion was ” The Future is Digital ” where industry experts Prasana Krishnan (EVP & Business Head Sports Cluster) ; Aneesh Madani (Head, Sports Partnership APAC, Twitter) ; LV Krishnan (CEO, TAM India) ; Piyush Kumar (Founder, Rooter) ; Nilesh Kulkarni (Founder-Director, International Institute of Sports Management ) spoke about the future of sports in digital medium, which has plethora of opportunities and innovations to unfold. The third discussion majored in ” Putting the Fan Front and Centre” where erudite speakers like Arunava Chaudhuri, Football Strategist & Sports Consultant, Indranil Das Blah, CEO Mumbai City FC, Yannick Colaco, Vice President & Managing Director, NBA India, Hrishikesh Shinde, Director Emerging Markets- Heartbeat sports & Basketball, Adidas discussed about necessity of the youth in connecting to take football forward in India by building official fan groups, unique strategies to utilize social media as a tool in Sports Marketing, ways brands can draft modern sports fan to watch the game and increase the viewership. The final session engaged into the topic ” Internet and mobile key to experiential Nirvana ” which was presented by Elbert D’Silva, Head Partnerships, BARC India where he shared valuable data stats which discussed the average time an Indian viewer spends in watching the professional leagues all over the world. The session was taken forward by industry specialists Uday Sodhi, EVP and Head, Digital Business, SPN India, Vinit Karnik, Business Head, ESP Properties, Chiraag Paul, Founder & CEO, Proem Sports Analytics, Piyush Choudhary, Director of Sales, Indian Subcontinent, Sportsradar. The session enlightened about the interesting facts which predicts that with the interest of 35 advertisers for the OTT platform during the FIFA World Cup, it is estimated that within the next 4 years the Indian viewership would gain 150 million football viewers online, making the market the biggest in the world. The conference concluded with great insights from the best in the industry, the focus being created for the next eight years where the country will see major advancements both in terms of technology and grassroots development for the game and try make the Elephant walk on air!